Juventus president Andrea Agnelli has been banned for a year for his role in the sale of match tickets to mafia-linked supporters' groups. The 41-year-old was also fined 20,000 euros (£17,600), while Juventus must pay 300,000 euros (£264,000) and three other club officials were banned. Agnelli was accused of helping to sell tickets - later resold at a huge profit - to 'ultras' fans, some with alleged links to organised crime. He and the club plan to appeal. Prosecutor Giuseppe Pecoraro had requested a 30-month suspension and 50,000 euro (£44,000) fine for Agnelli at the Italian Football Federation (FIGC) hearing. Pecoraro had also called for Juventus to be ordered to play two games behind closed doors. "I'm partly satisfied because we've been able to prove the guilt of everyone involved, but the findings were so serious that, in my opinion, they should have been punished more, so we'll appeal," Pecoraro told AFP after the hearing. "I think going to another court will be useful, bearing in mind they went to organised crime, and that is very serious," he added. Agnelli has denied dealing with Rocco Dominello, a supporter said to be close to the Calabria-based N'drangheta mafia group. He did, however, recall meeting Dominello - who was sentenced to seven years in jail - according to AFP. The court said Agnelli was not guilty of knowingly meeting with Dominello, and wrote in its ruling he was "totally unaware" of any illegality. Investigators had been looking into whether Juventus gave tickets to 'ultras' fans to avoid violence or racial abuse in the stands that might bring fines or docked points. Such a large number of tickets had been given out over such a long period of time that rules on contributing to fan clubs would have been violated, the FIGC ruling said, although there was insufficient proof the recipients were touts or criminals. Agnelli, a member of the family that owns Fiat Chrysler, said in May he met the 'ultras' to make sure they did not feel discriminated against, and to avoid "problems of public order". "Obviously the sentence disappoints us, even though the charges were revised," said his lawyer, Franco Coppi. 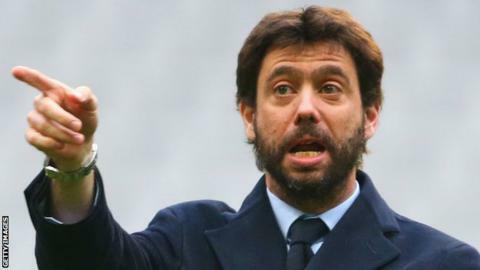 Six-time defending Serie A champions Juventus had said they would not request Agnelli to step down if he was found guilty. Earlier this month, Agnelli was appointed president of the European Club Association (ECA), succeeding Bayern Munich chief executive Karl-Heinz Rummenigge. The ECA represents the interests of a group of influential clubs including Manchester United, Chelsea and Barcelona.